Tiny Tea Detox – It WORKS! I solemnly swear that this thing actually works! I managed to lose 5lbs in total whilst drinking it, my skin cleared up and I felt a little more zesty in general. You’re encouraged to eat well and exercise whilst using it. I’ll admit that I didn’t (oopsy) but I still managed to end up looking leaner and with clearer skin. For the tea to work you need to drink it 30 mins before every meal. Now in principle this sounds simple but you know what it’s like when you have a little one – you plan to eat at a certain time and find three hours later that you’re belly is rumbling because you needed to handle two super poops, three rounds of row-row-row-your boat and 30 minutes of peek-a-boo! So, I ended up not always eating within the allotted time-slot. 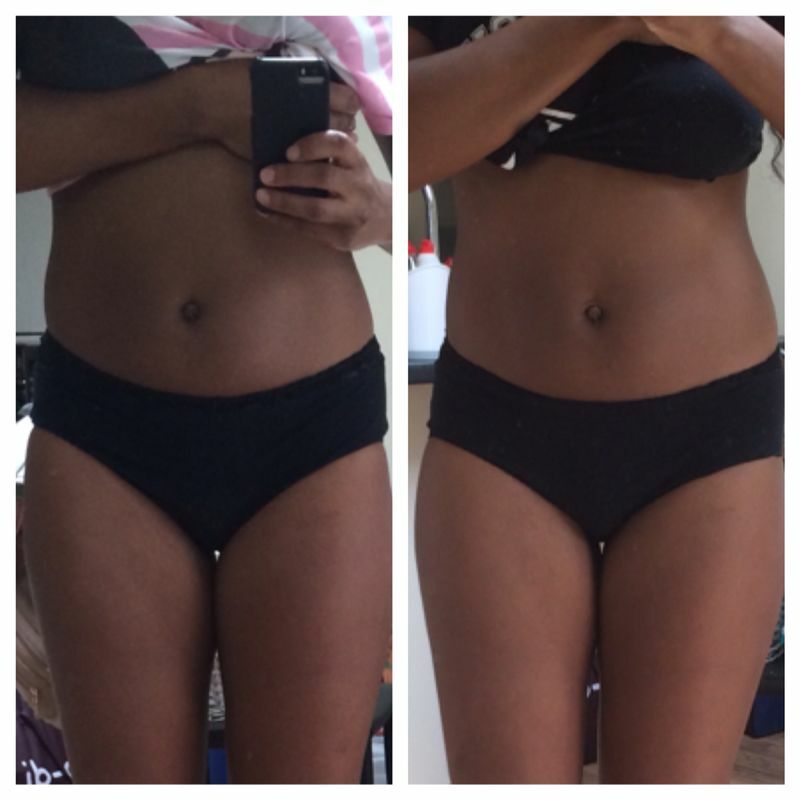 However, even with my slightly kamikaze approach to the Teatox methodology – IT WORKED!! The before and after results! Post pregnancy, once you’ve finished breastfeeding, I would 100% recommend using this tea for an added weight loss boost!